Addition of a light filler to the tear trough area in this Huntersville, NC patient gives a subtle improvement to the area. This is immediately post injection. 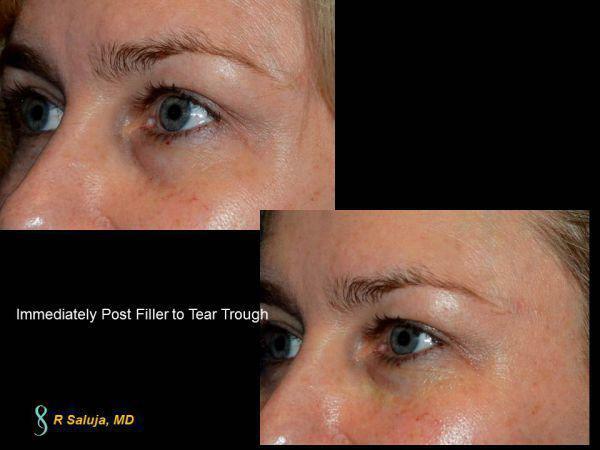 For tear trough fillers, we use a very light product such as Juvederm Volbella or Belotero. This area is prone to swelling, so minimal amounts to restore a more filled in appearance is recommended. With a little filler back to this area, a subtle but noticeable improvement is seen where patients do not appear to look "tired". It is important to make sure the area right below the infraorbital bone is filled prior to filling the tear trough. Often times, patients present with flattening in their infraorbital area where the anterior aspect of their cheek is located. This makes the following under the eyes more pronounced. Prior to doing anything in the tear trough area, the malar cheek area must have proper support with filler. 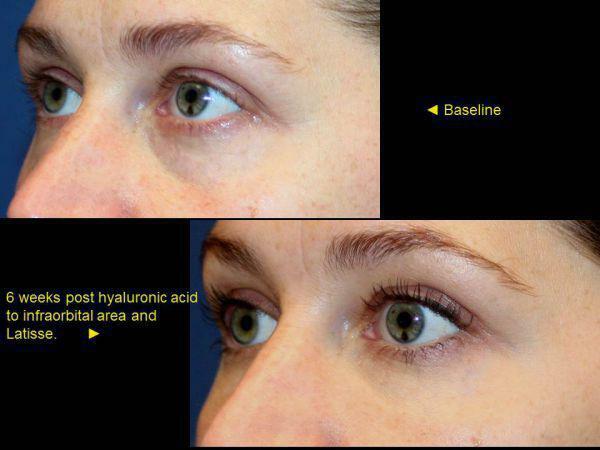 We typically use Juvederm Ultra Plus or Juvederm Voluma in the malar area which helps to fill in the infraorbital hollowing. 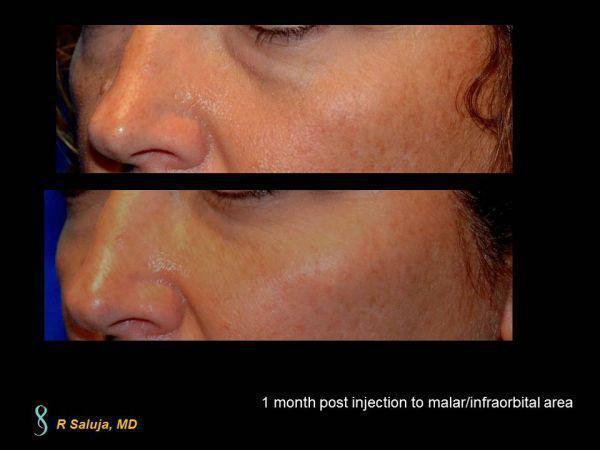 If the tear trough still needs filling after proper support has been restored to the malar area, then we add either Juvederm Volbella or Belotero at a follow-up appointment. With time, we lose bone and we lose fat from our face. This gives the appearance of hollowing around the eyes. 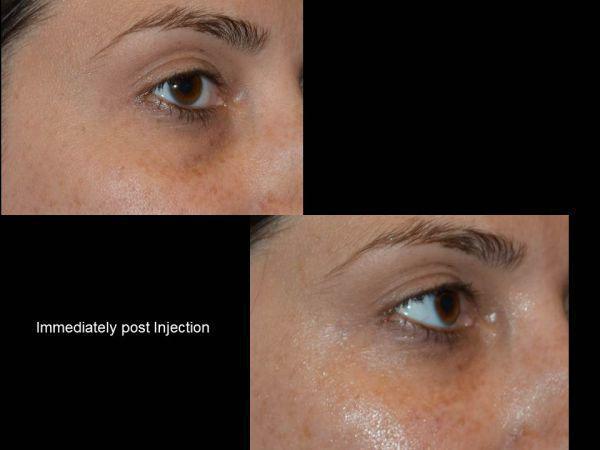 Placing filler back to the infraorbital area improves the appearance of the volume loss.